When you’re browsing online shops to treat yourself to a lovely new dress, or fancy new pair of shoes, it can be difficult to know which ones to use. Can they all be trusted? Are they all secure? Which is cheapest? Do they all have the same returns policies? Verify the site – some fake sites can look incredibly real. Research the site online to check other people have purchased from there successfully. ● Check the site has a closed padlock on the web browsers address bar or a URL that is http or https. ● Never order online using an unsecured wireless internet network. 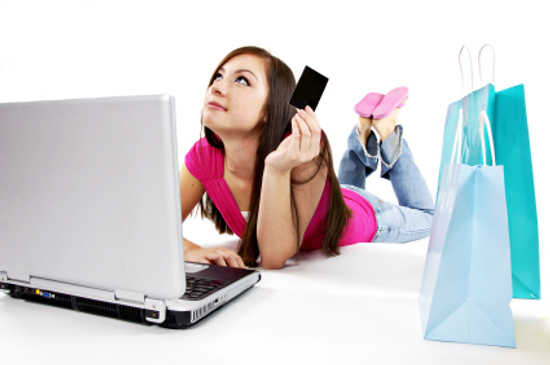 ● Use safe payment – credit cards or Paypal are the best options. ● Check your account afterwards – check only the amount that should be charged has been charged to your account and report any suspicious activity immediately. ● Use the latest computer security software. ● Ensure your passwords are strong. Reputable retailers will be more than happy to actively promote the steps they take to make their site secure. Sites like www.bellafashionqueen.co.uk have new styles online every single week. If a site doesn’t appear to have much new stock in, click off it and move onto another – the online retailers know there is a lot of competition and they will need to offer you constant variety to keep you coming back. Most sites will continually run special offers such as free delivery, free delivery after a certain amount is spent, a certain percentage off, or a sale on last seasons items. Don’t be afraid to put an item in your shopping basket and wait to see if the retailer sends you an email offering you money off to complete the purchase – this can happen and is a great way to save money. Just because a shop is online, doesn’t mean there won’t be a fantastic customer service team behind it. You should expect quick and efficient email replies to any queries you have, and expect customer service reps to help you in any way they can. Just because they are behind a screen doesn’t mean they are excused from providing excellent customer service. If you find you’re sending a query and either not getting a reply, getting a vague reply or not getting anything back for days – walk on by, you deserve better customer service. Of course any retailer on or offline will use marketing techniques to get you to see the best attributes of their garments, but they should still have transparency when it comes to the garment details. You should be able to know what material the garment is made from, where it was made and even how it was made if relevant. If any of that information is not displayed, you should be able to request it and be given that information freely. If a company is hesitant to be transparent, you have to wonder what they are hiding. Do however, be aware some online stores simply buy in lots of different brands and they may not have certain information, but should in that instance direct you to the manufacturer who created the garment. If a company advertises its garments as small, medium or large it will likely have a size chart listed somewhere on the site so you can check your measurements against it. It isn’t in their interest to be sending out clothes to people that won’t fit. If you can’t find a size chart, ask for the measurements of the garment you like and ask the website to display a size chart. You should also look for a site that sells garments in a wide variety of sizes. People vary so much in height, width, size and shape – the best online retailers recognise this and cater for it.